Smokin' Jonny's Homemade Peach Cobbler is Here! Smokin Jonny's "PIG OUT CHALLENGE" is Here!!! 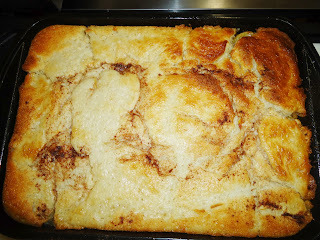 THE "PIG OUT CHALLENGE" IS HERE!!! MARK THE DATE: JULY 15, 2012 AT SMOKIN JONNY'S RESTAURANT IN GARDENA. 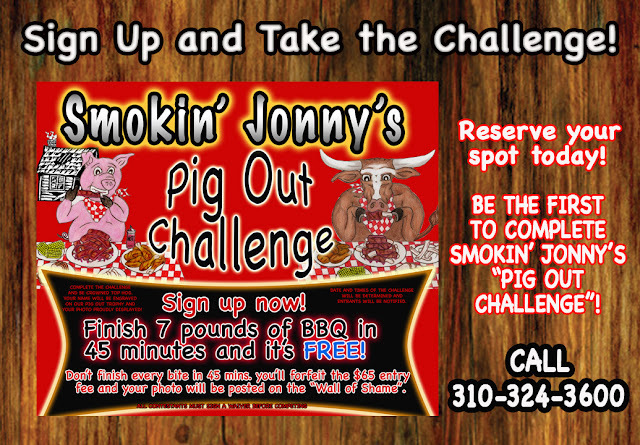 SIGN UP NOW For Smokin' Jonny's "PIG OUT CHALLENGE" to be held at Smokin' Jonnys BBQ at 14813 S. Western Ave., Gardena, CA 90249. To sign up please come in or call 310-324-3600 to sign up. Entry fee is $65 and you'll have 45 minutes to chow down 7 pounds of delicious slow smoked bbq with all the trimmings. 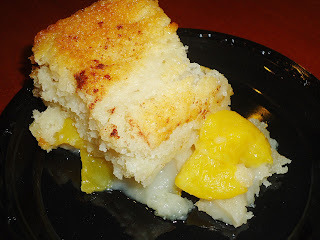 Finish every bite within 45 minutes and it's FREE!!! If you think you got what it takes then sign up and see if you can be crowned Top Hog! 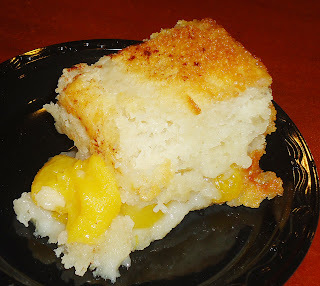 If you don't finish every bite within 45 minutes you will forfeit your entry fee and join the gut busters on the "Wall of Shame". It takes place next month and seats are limited so don't be left behind and join the list of Pig Out Challenge contenders. 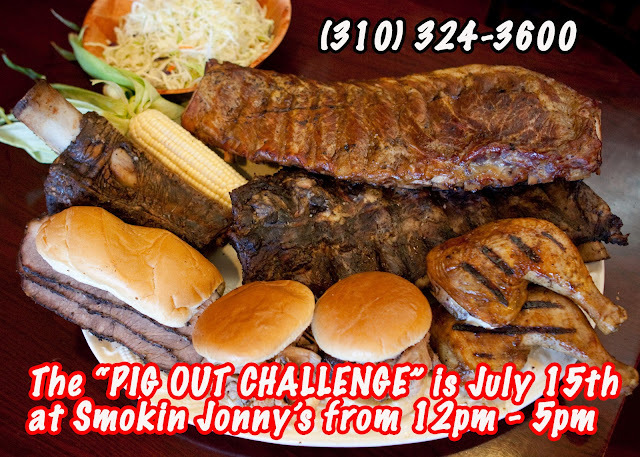 We will have The Pig Out Challenge on July 15th at Smokin Jonny's BBQ from 12noon to 5pm. Bring your appetite and your family. There will be music, entertainment and most importantly bbq.